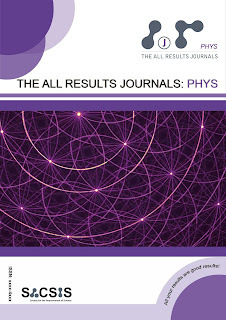 SACSIS is delighted to announce the opening of a new section (Particle Physics) at The All Results Journals: Phys and the appointment of Professor Ehud Duchovni as new section editor on the Editorial Board. Prof. Duchovni (PhD) is Associate Professor at Department of particle physics and astrophysics at the Weizmann Institute of Science, Rehovot, Israel. He obtained his Ph.D in this department for his work on di-jet production in photon-photon collisions. Presently, he heads the Weizmann team participating in the ATLAS experiment at CERN and is a member in the Xenon experiment at LNGS. At ATLAS his work is focused on the search for new phenomena in general, and for supersymmetric signals in particular. At Xenon he is engaged in the search for weakly interacting particles (WIMP). He is serving as an editor in JINST, and in various capacities at Israel and CERN. More information can be found at his laboratory website.